At age 15 in war-torn Ethiopia, he became a child soldier – at the point of a gun. His first escape, stowed away on a cargo ship, left him swimming for his life with other boys, two of whom drowned. In 1986, still a teenager, he tried again, reaching Canada in 1989, getting asylum, starting a restaurant in Montreal, getting married, having a daughter. But he couldn’t shake his trauma, undiagnosed PTSD. He self-medicated with drugs and alcohol, left his family, moved to Portland, OR, joined a gang and became a drug dealer. The threat of death led him back to Canada – Vancouver – in 2005. The overdose death of a friend led him to Union Gospel Mission. Sheer will, recovery programs and the caring support of others led him to quit drugs and get sober. He confronted his childhood trauma and vowed to help others kick the habit as he had. He became Reverend Jemal in June 2011. On Christmas Day, 2015 Jemal Damtawe celebrated 10 years of sobriety. He began working as a volunteer swamper at the UGM Thrift Store and is now a full-time Outreach Worker and Preacher at UGM. He rescues those struggling with addiction and homelessness in the Downtown East Side. He is mentor to dozens of men who have walked on the road away from addiction and back toward self-respect. 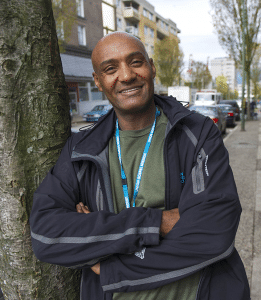 Jemal has married again, has a three year-old son, and has joyfully reconnected with his 23-year old daughter. Courage as the name implies is taking your life, and having the dream or the Courage to imagine getting through something so difficult, and radically making an impact on your life. By making a radical impact in your life, the irony is your impacting many others around you. I saw this demonstrated last year at the Courage Awards, from those at our table to those who attended the event, how each speech impacted me, and those close to me, realizing how fortunate we are, in our day to day lives. I wanted to do my part and make a small difference, knowing that small adds up to significance if we all participate at some level. I welcomed the opportunity to become a gold sponsor of this event. Wimbleton Financial Services, (impacting others through Strategic Planning)…. We are pleased to welcome Wimbleton Financial as a new Gold Presenting partner of The Courage To Come Back Awards in 2016. 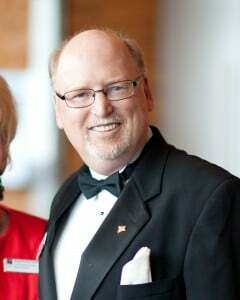 Duncan Robinson will be presenting one of the six awards on May 5, 2016 at the Vancouver Convention Centre West. You can hear the passion in Lorne Segal’s voice when he talks about The Courage To Come Back Awards. 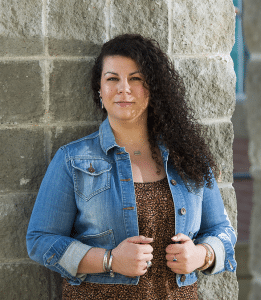 Segal, President of Kingswood Properties Ltd., is the Chair of the BC-wide campaign of recognition, and its number-one cheerleader. 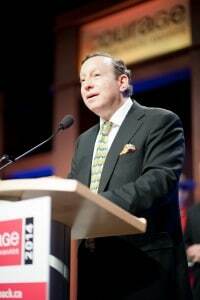 Segal knows about making a difference: he is a recipient of The Order of British Columbia and a Queen Elizabeth II Diamond Jubilee Medal, both recognizing his philanthropic work. The Courage To Come Back Awards, presented by Coast Mental Health Foundation, recognize citizens in a number of categories: people who have overcome addiction to drugs or alcohol; others who have beat tremendous medical odds or undergone extensive physical rehabilitation; and people who have recovered from mental illness, or from dire social or economic adversity. There is also a special Youth category for people 22 years and under. The award recipients are chosen by a large group of experts and laypeople who volunteer their time to review the stories and select the final six. Recipients will be honoured at a gala on May 5th at the Vancouver Convention Centre West. Coast Mental Health staff see hope and triumph every day. Coast Mental Health started the CTCB Awards seventeen years ago. We saw this event as means to highlight the triumph and perseverance of the human spirit. Through the Courage Awards, we meet six remarkable people who demonstrate these characteristics. Each recipient is a beacon of hope, a fearless hero, a shining example of possibility. To us it is a wonderful parallel to the recovery we see in people with mental illness. No matter how bleak things may be, not matter what hardship or misfortune you face, through the right supports and inspiration we all have an ability to rise up and find a brighter future. It shows that there is resilience in each of us that allows us to pick ourselves up, to dust ourselves off, and to overcome. Over the years we have had many hundreds of nominees, each with their own extraordinary story. Every story has a common thread – great adversity, a life filled with seemingly insurmountable obstacles, heartbreak, suffering, and despair. For me, I learn just how challenging life can be and I see how fortunate most of us are to have our safety, comfort and health. In fact, when I read the challenges Courage nominees have faced, my trivial problems pale in comparison to these remarkable individuals. And yet out of these stories of heartbreak and despair, somehow, each person finds the internal strength to persevere, to rise up and to ultimately spread their wings and soar. They find the courage to not just continue on, but to engage and inspire others and in so doing they are giving back to their communities. If you speak to the frontline staff at Coast Mental Health, they can relate. Every day they work with people with mental illness: people who have endured significant hardship and have faced unimaginable odds in their battle with these sometimes-crippling diseases. Mental illness is a thief, it robs you of your identity, it takes away your livelihood and it isolates you from your friends and family. It leaves you a shadow of yourself… alone and hopeless. And if diseases like depression, anxiety, bipolar disorder and schizophrenia are not bad enough, add to that stigma and discrimination, and a society that simply does not understand. Yet Coast Mental Health staff see hope and triumph every day. Through counseling, intervention and care we see recovery. From our meal programs, clothing and supported housing we see restored dignity. And from life-skills training, education and employment programs we see a reduction of poverty. We know that people can and do recover from mental illness and that they indeed can overcome. We know that mental illness is simply another adversity and, with support, it too can be courageously beaten. We are fortunate that the Courage To Come Back Awards give us a vehicle to deliver our message, to share our mission and to help us bring communities together. And of course, most importantly, the annual Courage Awards introduce us to 6 remarkable recipients. People who deserve to be honoured and whose stories are so powerful they simply must be shared. Their stories overwhelm us with emotion, fill us with awe, and give us hope that within each of us exists that fearless hero. 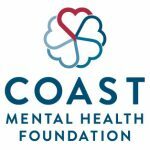 The momentum behind Coast Mental Health’s annual fundraising gala is starting to gather, with the nomination process having kicked off with a “soft” launch in the first week of December. That introduction is the lead up to the January 6 media nominations launch when things will really start hopping. Patricia encourages everyone to nominate people they feel are deserving of an award. If you know someone who meets the criteria in any of the categories (addiction; medical; mental health; physical rehabilitation; social adversity; and youth), please consider recommending them. The 2016 gala will be Patricia’s ninth Courage To Come Back Awards. Her focus right now is to get as many nominations in as possible. Get started with your online nomination today. The annual Courage To Come Back Awards recognize abilities, celebrate differences and give centre stage to six British Columbians who have overcome tremendous challenges, yet reach out to help others in our province. They are our loved ones, our neighbours, our friends, who have faced seemingly–insurmountable odds and who have come through with courage, strength, and a drive to help others. Courage recipients show us that people can walk again despite the predictions of some of the best medical minds. They teach us that disabled does not mean unable. They prove that hearing voices in one’s head does not mean a lifetime in hospital. These are valuable members of our community despite injury or illness: they are role models. Addiction: A person who has demonstrated inspirational achievements overcoming the challenges of addiction and who has given back to his or her community. Sobriety must have been maintained for at least the past five years. Medical: A person who has demonstrated inspirational achievements overcoming the challenges of a serious medical condition, and who has given back to his or her community. Mental Health: A person who has demonstrated inspirational achievements overcoming the challenges of living with a mental illness, and who has given back to his or her community. Physical Rehabilitation: A person who has demonstrated inspirational achievements following major trauma or injury which has required extensive physical rehabilitation, and who has given back to his or her community. Youth: A young person, under the age of 22 years as of December 31, 2015, who has demonstrated inspirational achievements overcoming illness, injury, addiction or social adversity, and who has given back to his or her community. The Courage To Come Back Awards will be presented on May 5, 2016 at the Vancouver Convention Centre West. Buy tickets online today.